11818 Sunset Avenue Rocky Mount, NC P: 252-446-6137 In addition to Greenville outdoor furniture in Greenville, NC, Daughtridge Gas and Oil also has locations around Eastern North Carolina. 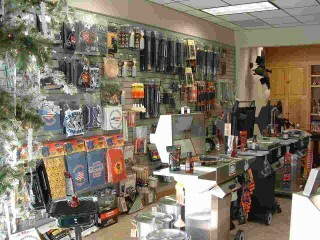 In Rocky Mount, North Carolina, Daughtridge Gas and Oil has a showroom selling all of your grill and barbecue needs as well as indoor heating and gas logs! Making Propane deliveries to Residential, Commercial & Agricultural customers from this location! For Greenville outdoor furniture or gas logs and fireplaces, choose Daughtridge Patio & Hearth! We could throw brandnames for Greenville Outdoor Furniture at you all day, but it is names that carry weight that make a difference. For example, the Daughtridge name has been in the patio and hearth industry for about 86 years. How do we manage such longevity? Well, it is partially because of the brands that have supported us in and out of time. To celebrate these 86 years and the many more to come, we are sharing the logic of our branding our Greenville Outdoor Furniture. Learn from our companies what they value most about their crafts, so that when you relax in your OW Lee chair next to your OW Lee fire pit you know just how important your comfort and style is to us. It is not about names. It is about brands. The logic of OW Lee is time. They design and craft furniture that is made to last you generations. In order to provide you casual Greenville Outdoor Furniture, they combine historical manufacturing with high quality equipment. Want to add some heat to your patio? Look for the OW Lee Fire Pit at Daughtridge Patio & Hearth. Choose Your Brand of Outdoor Living with Daughtridge Patio & Hearth Today.